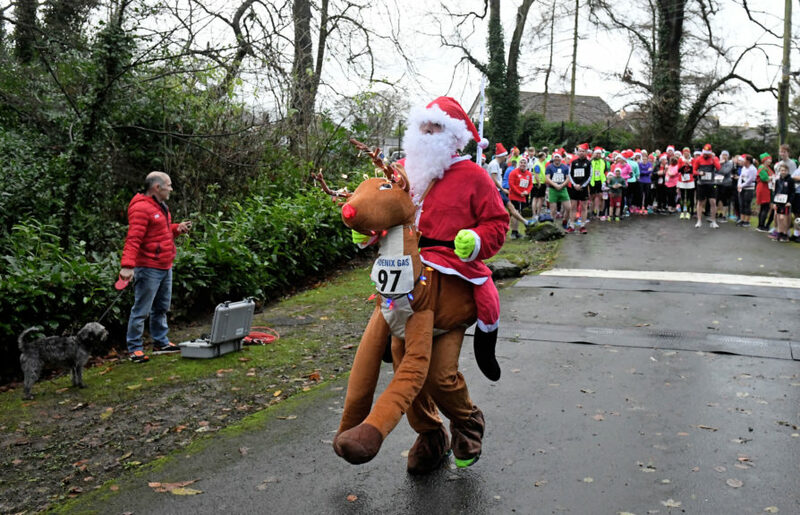 Home / News / Run Santa Run! 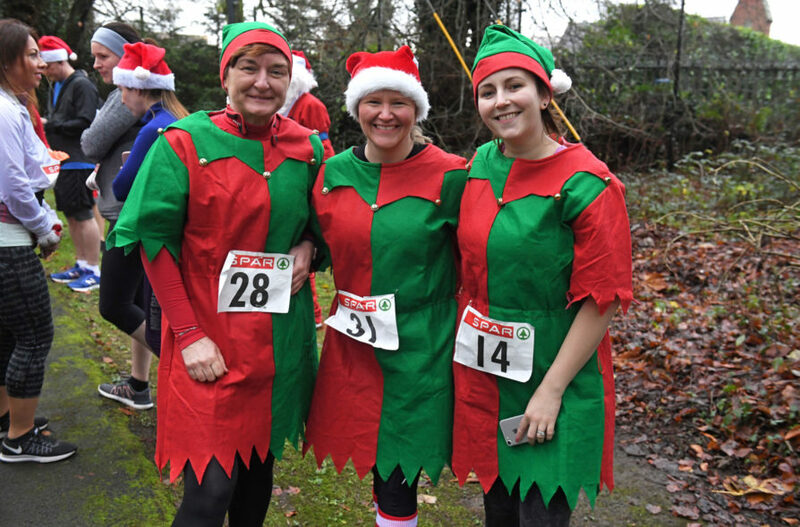 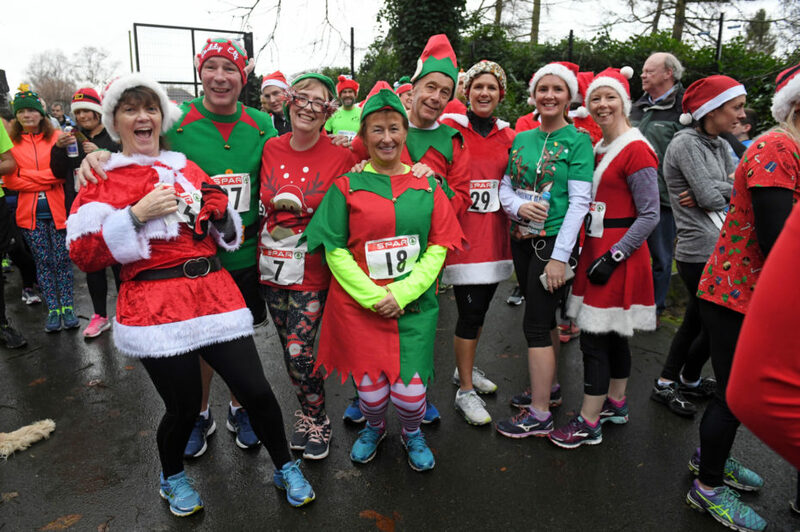 Over 250 runners descended upon Crossgar town on Sunday 2nd December for the annual Santa Run, organised by Crossgar Harriers. 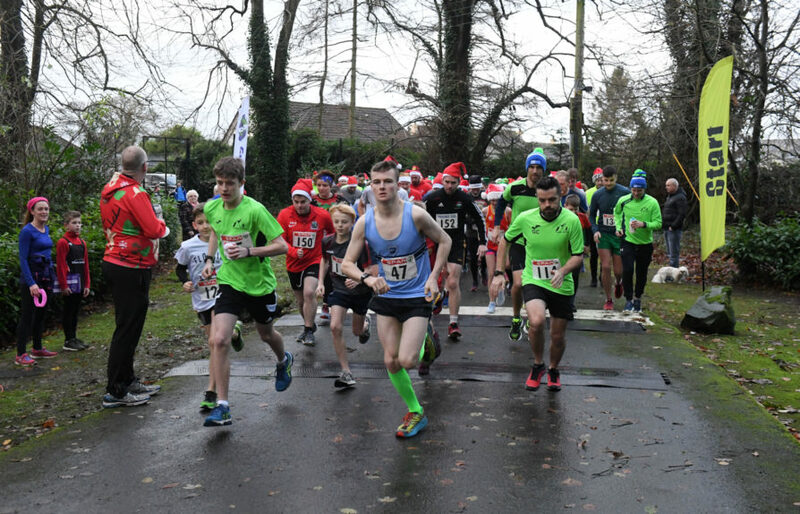 The event included a 5k and 5 mile race as well as a family fun run. 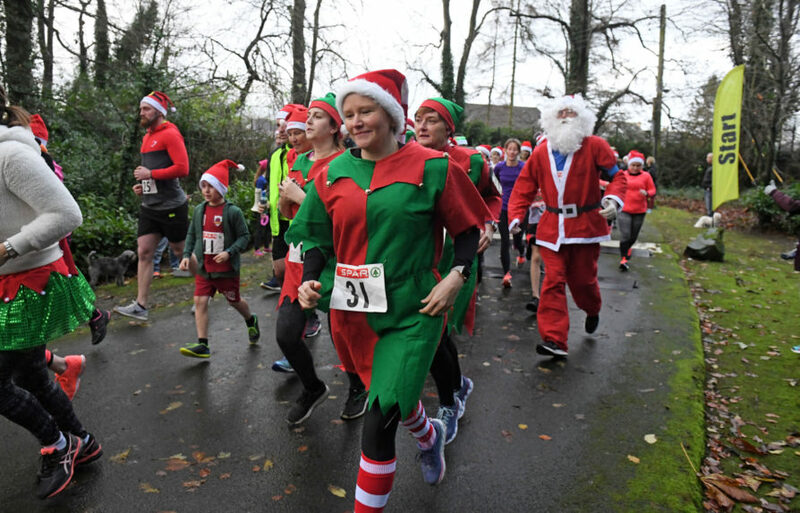 This year the run incorporated a new route, taking in much of the grounds of Tobar Mhuire Retreat and Conference Centre. 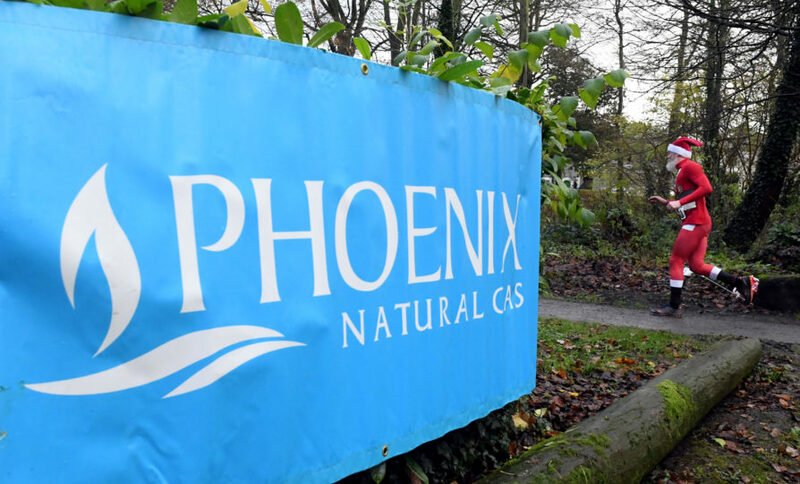 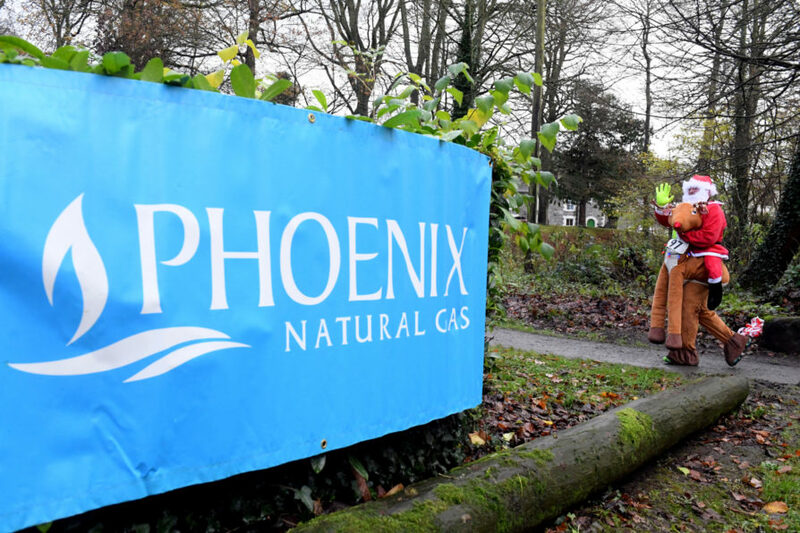 As a new sponsor of the event, Phoenix Natural Gas was there to warm up runners after the event with a festive reception, serving up hot chocolate and Shloer, as well as traditional mince pies. 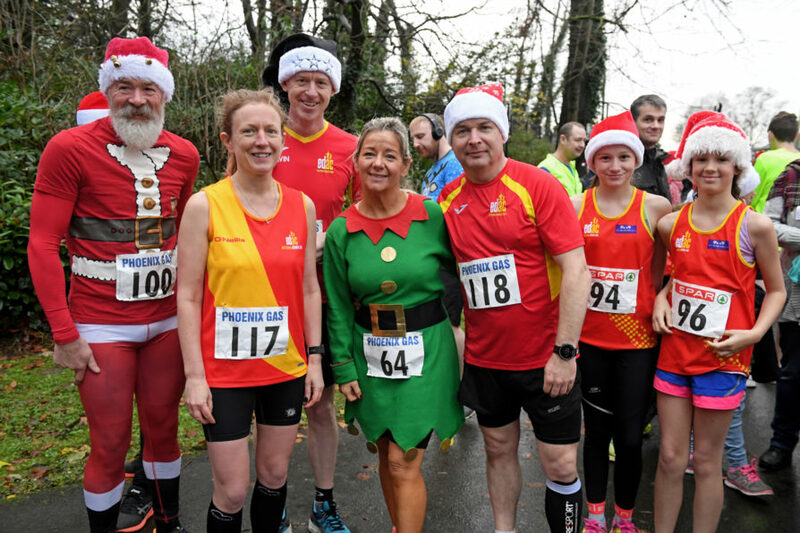 Phoenix also awarded a Best Dressed Santa prize to Brendan Miskelly for his festive outfit, winning a family pass to the Christmas pantomime.